The PF government through the Electoral Commission has hired Universal Printing Group (UPG) of South Africa to print ballot papers for the forthcoming bye-elections. UPG printed the ballots for the last general elections amid heavy accusations from the Patriotic Front that it was corrupt. The PF was then in opposition. 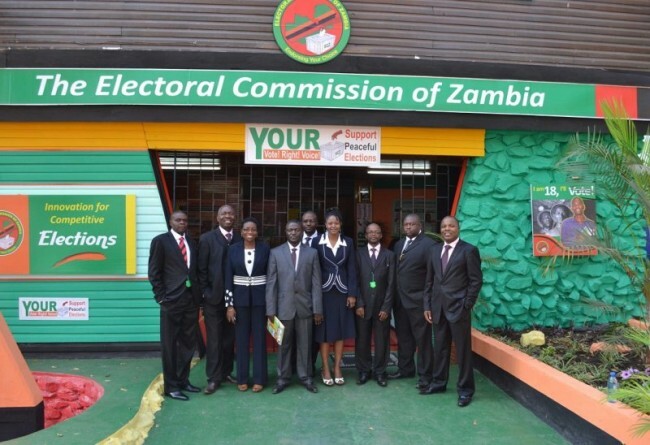 The Electoral Commission of Zambia (ECZ) has disclosed that ballot papers for the three Parliamentary by-elections to be held later this month will be printed by Universal Printing Group (UPG) in Durban, South Africa. ECZ public relations manager Cris Akufuna said officials from the commission would soon leave for South Africa in readiness for the printing. Mr Akufuna said that the costing for the whole exercise would soon be consolidated. On August 20, then Opposition aspiring MP for Kabwata and now chief government spokesperson, Given Lubinda addressed the press in which he disclosed that he had information that UPG was corrupt and said he was releasing a little more information and that he was ‘sitting on a mountain of information’ with regards to how corrupt UPG is. “UPG are criminals who should be prosecuted but today, they are being defended by the government and more disappointingly by the Anti Corruption Commission. The Anti Corruption Commission is supposed to be protecting our country from the vices of corruption, bribery and the resultant money laundering. But in our case, the ACC has decided to become the defender of criminals,” Lubinda said. Lubinda said UPG had by their actions not only engaged in corruption through bribery but also money laundering. “This is the kind of company that ECZ is asking us to accept as a partner in running our elections. This is wrong. The cover up that the ACC is involved in by denying knowledge of investigations they have carried out leaves me as an interested person very worried,” Lubinda said. Is Southern province of Zambia a Bantustan?